Sick of struggling to get your hitters on-time, balanced, and keeping high Ball Exit Speeds, especially while hitting off-speed and breaking pitches? This online video course (7-modules total) reveals cutting edge science on the topics of: Vision, Tracking, Timing, and Forward Momentum. Finally, you’ll be able to track pitches crystal clear, accelerate reaction time decision-making, & get ON-TIME without losing swing effectiveness with this “secret” online video course you can’t live without. ‘Bat Lag’ is the beautiful result of fascial lines in the torso being CONNECTED to what the explosive rotational athlete is holding in their hand or hands. See image of Josh Donaldson to the right. Look how his hands are positioned between his elbows (odd camera angle to see this I know). Which is to say, the barrel position in space and time in this image is perceived by A LOT of coaches as being waaaaay too long. They add that Josh Donaldson is just strong and can get away with a ‘long barrel’ like that. And they’re WRONG. Dead wrong!! Stride foot pressure – is on the inside. Before using shifting foot pressure baseball swing drills using the Rope Bat, a hitter must FIRST get comfortable executing shifting foot pressure without a bat, then with, then progressing to using the Rope Bat. These are the proper progressions to get a younger hitter acclimated to the new skill. We used a couple ‘racing back elbow’ fixes for Zack, but it wasn’t until we used top hand finger pressure, that the fix stuck. It took two 30-min sessions, a week apart. Start squeezing these fingers when the hitter picks up their front foot, and hold the finger pressure well past impact. This activates the springy fascia connecting what Thomas Myers, in his book Anatomy Trains , calls the Front Arm Lines to the multiple lines mapped throughout the torso. CLICK HERE for the “Babe Ruth Reveals Hand Tension?” Zepp swing experiment I did testing this. And a big THANKS goes out to Lee Comeaux for shedding even more light on this strategy. Like I mentioned earlier, combining top hand finger pressure while swinging the Rope Bat, is a LETHAL combination for crushing ‘Bat Drag’. 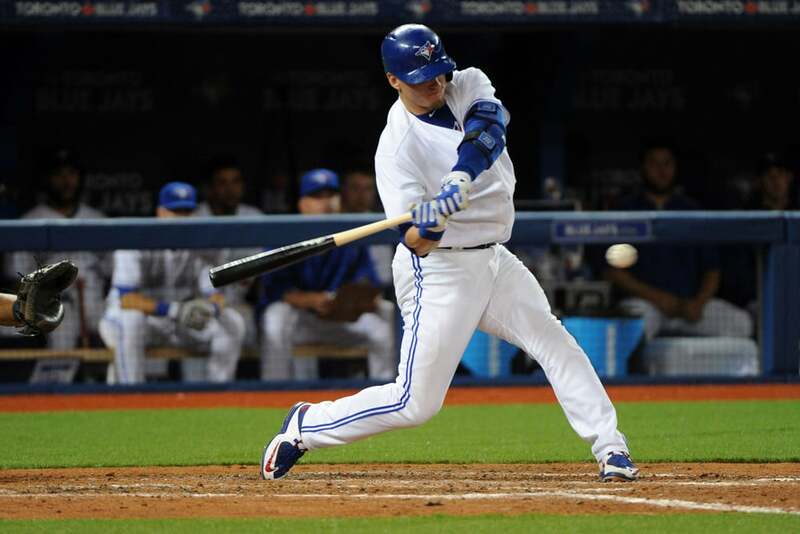 Improve a hitter’s ‘Bat Lag’ and shifting foot pressure by having them swing the Rope Bat on the on-deck circle. Unfortunately, you can’t hit baseballs, softballs, or tennis balls with it. But whiffles are fine. However, I think the magic in the Rope Bat, is in dry swings anyway. Baseball swing drills (works well with softball too) that promote a hitter’s tempo and cadence are worth their weight in gold. Baseball Training Aids: Long Slow Swing Fix? where is the Rope Bat link? Hey Scott, the link is in the introduction of the post content…just below the three bullet points. Joey, could you help me clarify my confusion? In this video you spoke of the top hand pressure in the bottom 3 fingers of the top hand. However when I clicked the link for more info on a previous video about hand pressure testing you did with Zepp…you spoke about the hands trying to rip the bat in half but your top finger of your top hand was gripping hard? I have noticed that a lot of Japanese hitters do not squeeze the thumb and first finger on either hand when swing gripping a bat. They actually have them pinched together off the bat. I often wondered why and thought you were on the verge of telling me but then I got sidetracked with the hand torqueing technique. Thanks in advance for any help you may shed on this topic. Rick, I used to teach finger pressure by ‘breaking the handle between the hands’, which was effective, but I don’t anymore…I’m teach top hand bottom three finger pressure only now with bottom hand butterfly grip pressure. The latter is more simple. Joey…thanks for the response…Ok….but why? What is the reasoning behind the top hand bottom 3 fingers applying the most pressure? What is a butterfly grip? Thanks in advance for your time! Rick, here’s swing experiment #1 w/ “breaking handle”: https://hittingperformancelab.com/babe-ruth/ AND, here’s most current experiment #2 w/ finger pressure: https://hittingperformancelab.com/baseball-hitting-drills-for-little-league/ Please read under the Background Research for the HOW/WHY. Also, pick up Thomas Myers’s book Anatomy Trains, lots of great HOW/WHY stuff in there.